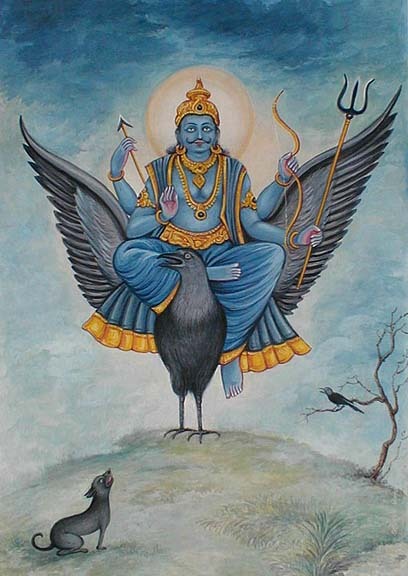 Shani is a deva and son of Surya and his wife Chhaya, hence also known as Chayyaputra. He is the elder brother of Yama, the Hindu god of death, who in some scriptures corresponds to the deliverance of justice. Interestingly, Surya's two sons Shani and Yama judge. Shani gives us the results of one's deeds through one's life through appropriate punishments and rewards; Yama grants the results of one's deeds after death.